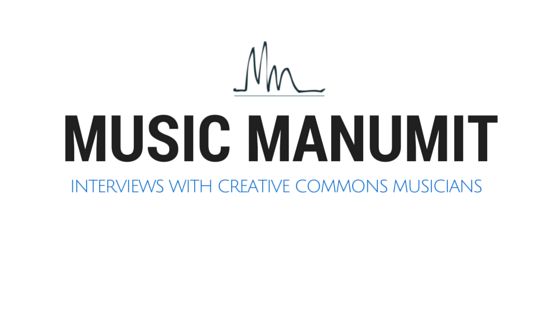 Music Manumit: What's Property Got To Do With It? What's Property Got To Do With It? Plenty of people think "intellectual property" (IP) is a terrible term, but I think the term is here to stay. In the legal world, there are at least seven ways to acquire possession of an item: purchase, discovery, capture, creation, find, gift and adverse possession. IP comes from the creation portion of that, though there is more to creation than IP. For example, any property rights you hold in your physical body come from the creation aspect. My Property class used the seventh edition of a book simply called Property by Dukeminier, Krier, Alexander and Schill. Apparently Dukeminier has been dead a while but they keep his name on the book because he is so famous. Most people in the music world think of IP as copyright and publicity rights and most people is software think of it as copyright and patents. However, those are not the only types of rights in IP and the four cases Dukeminier uses in its IP section illustrate this. I wanted to discuss these cases briefly so people can get inside the head of someone from the IP lobby (MPAA, RIAA, etc.). This case is so important that we discussed it both in Property (page 56) and IP (pages 692, 765 and 1051 in the Ghosh book I've mentioned several times previously on this blog). Not only was it a SCOTUS case, but has a famous concurrence written by one of the most famous judges (lawyers like to call them jurists) of all time, Oliver Holmes, Jr. The opinion is well worth a read if you want to dig further, if for the sound bites alone. INS created the "hot news" doctrine. In fact, if you search hot news on Wikipedia, you'll be directed to the article on the INS opinion. And, knowing that it's all about news, you might have guessed that AP in this case is Associated Press. International News Service was a rival. Wikipedia didn't tell me what happened to them, but it looks like they are no longer around. While the case is all about copyright (and common law copyright), I want to point out that there is some (IMO) serious censorship going on here. The beef between AP and INS came about because INS was barred from getting news straight from the source because they, well, reported the news. AP apparently left out any bad news and thus was allowed to continue delivering the propaganda news. So, what is "hot news"? It's something akin to modern day unfair competition laws. Under the hot news doctrine, no one can mess with your "stock in trade to be gathered at the cost of enterprise, organization, skill, labor and money, and to be distributed and sold to those who will pay money for it." On top of the Cheney Brothers case below, I agree with Wikipedia that to understand what INS means today, you also need to read Feist v. Rural and National Basketball Association v. Motorola, Inc.
Like INS, this is an old case.The most likely explanation for its inclusion by Dukeminier is that it was written by another famous white guy, Learned Hand. He may have been an arrogant [insert favorite expletive], but actually "Learned" is a family name that he took to be his first name at some point. Billings is the dude's first name. The other reason for its inclusion would be that it applies the INS opinion narrowly, to just news. It shows that the "sweat of your brow" doctrine of copyright is not so much a copyright doctrine as an unfair competition doctrine. Of course, the question becomes, why did Cheney not seek unfair competition protection? Well, this is a complicated question and my book doesn't talk about it. It might be that people generally thought this sort of stuff was preempted by the 1909 copyright act. The 1976 copyright act (the current one) has been said to preempt "hot news". It may be that there was no unfair competition laws in New York at the time. It could be that the lawyers just didn't think about it. I am, after all, looking back on it with 83 years of hindsight. Remember, the point is not to get bogged down in the details of these cases (though I can do that if people want). The purpose is to get inside the head of someone that is a copyright or patent maximalist. Seeing how these cases tie to more traditional property law is one way to do that. Yes, that Chanel. This is a case about a fragrance.There's nothing in the Constitution that says that you can't copyright smell or taste, unless you read "writings and discoveries" very narrowly, which of course puts lots of things, such as sound recordings in jeopardy. However, Congress has never given copyright to smell or taste. This case is about the intersection of copyrights and patents, something important to the software world. Chanel could have patented a new chemical for their smell, but it would only last for 20 years (let's ignore any potential anachronisms about knowing chemical structures or changes in patent law, for the sake of argument). The main take away from this case is "a large expenditure of money does not in itself create legally protectable rights." Remember this is a 9th Circuit opinion from 44 years ago. If you need legal advice, see an attorney licensed in your jurisdiction. This is another case so important/controversial that we discussed it both in IP (page 745) and in Property (page 66). The 9th Circuit is often called the Hollywood Circuit, and this case shows you why. The 9th Circuit is absolutely huge, but does, of course, include Hollywood. Fortune...at least not until Vanna White dies (she's 55, so let's hope it's a long time). That's what I get out of it. This is why intellectual property law is full of careful balances between what's set aside for the owner and what's left in the public domain for the rest of us: The relatively short life of patents; the longer, but finite, life of copyrights; copyright's idea-expression dichotomy; the fair use doctrine; the prohibition on copyrighting facts; the compulsory license of television broadcasts and musical compositions; federal preemption of overbroad state intellectual property laws; the nominative use doctrine in trademark law; the right to make soundalike recordings. All of these diminish an intellectual property owner's rights. All let the public use something created by someone else. But all are necessary to maintain a free environment in which creative genius can flourish.